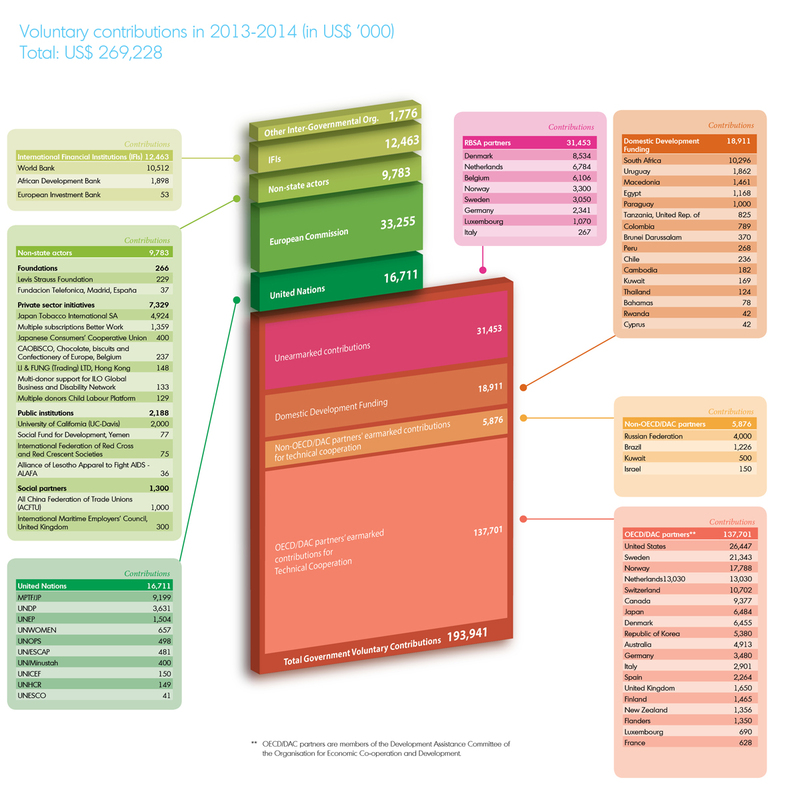 Voluntary non-core contributions support specific global and national based programmes. This modality includes earmarked project-based funding with a clear timeline and a pre-defined geographic and thematic focus and Thematic Funding, lightly earmarked to specific elements of the ILO results framework. The total amount received by the ILO in 2014 as voluntary non-core contributions amounted to US$ 237.8 million. 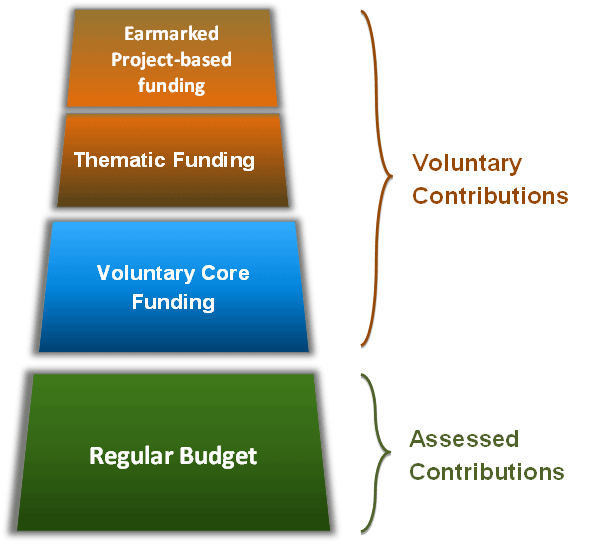 Voluntary core contributions (funding towards the Regular Budget Supplementary Account – RBSA) provide a pool of un-earmarked flexible resources allocated by the ILO to strategic areas, underfunded themes and new priorities. In 2014, the ILO received US$ 31.5 million in such RBSA, from Belgium, Denmark, Germany, Italy, Luxembourg, the Netherlands, Norway and Sweden. Regular budget (assessed contributions) is provided by all ILO’s Member States by virtue of their membership. Countries’ contributions are based on the United Nations allocations assessment. The total regular budget of the ILO in 2014-15 amounted to US$ 801.2 million.